This Webinar is eligible for 1 PMI® PDU in the Technical Project Management talent triangle category. If you are claiming this session, you must submit it to your MPUG Webinar History after it has been completed in its entirety. 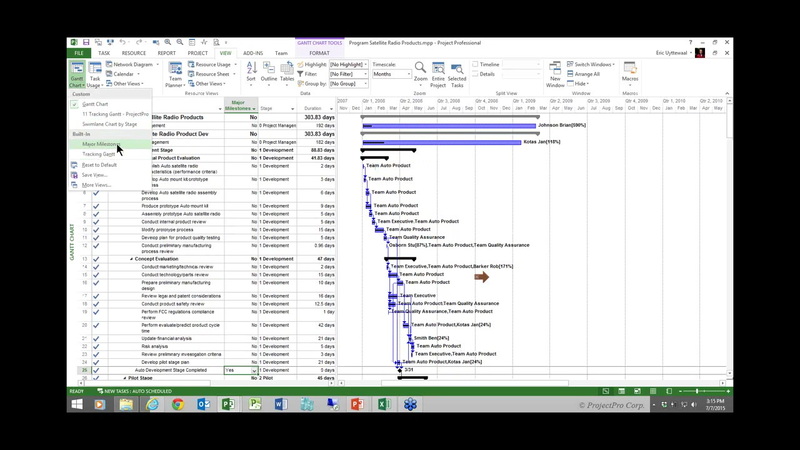 This presentation offers a no-pressure, stress-free virtual environment to learn about add-ins for Microsoft Project. The products featured in this free vendor presentation address gaps in out-of-the-box functionality thus would require product trial or purchase to use. There have been several studies on complexity in projects and programs recently. The presenter thinks that, inherently, programs are not more complex than projects. What is different is that the investment is much larger, the stakes higher, the amount of data staggering, the dependencies cross-project, the stakeholders sharper and the media never far away. What makes programs seem more complex than projects is the lack of program management techniques and software applications to schedule, monitor and manage them. The presenter will provide insight in the bleeding edge of how these techniques and tools are currently being adapted to the challenge of managing audacious programs. Eric is one of the foremost trainers, consultants and authors on using project management software from Microsoft. He authored the book ‘Forecast Scheduling with Microsoft Project 2010/2013’. He founded ProjectPro that specializes in Microsoft Project and Project Server. Eric has been involved in large programs at the Canadian Forces, IBM Cognos, Northrop Grumman and SanDisk. He was President of the PMI Ottawa Chapter in 1997. Eric is president of the MPUG-Ottawa chapter. Eric received awards from MPUG in 2012 (Community leader), from Microsoft since 2010 (MVP) and from PMI in 2009 (‘Significant Contributions to the Scheduling Profession’).